The Antares 7.60 is a serious boat: it benefits from the quality of the hulls which have greatly contributed to Antares’ reputation. Your pleasure is guaranteed by its flawless seakeeping ability whether stationary or at full speed, and high performance regardless of the engine power chosen. 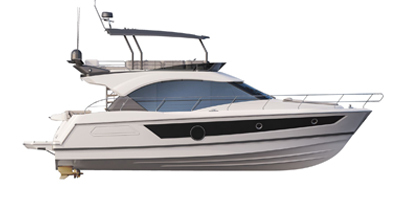 In addition to its numerous features, the whole family will be able to enjoy the seat integrated into the coachroof, ideal for jaunts in good weather or for simply relaxing at anchor.